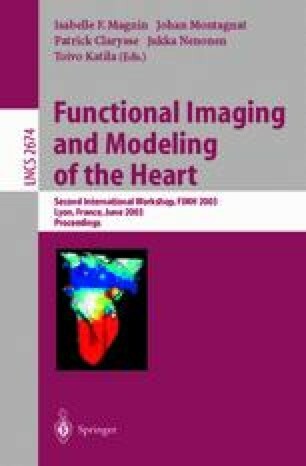 This paper presents a novel method for segmentation of cardiac perfusion MRI. By performing complex analyses of variance and clustering in an annotated training set off-line, the presented method provides real-time segmentation in an on-line setting. This renders the method feasible for e.g. analysis of large image databases or for live non-rigid motion-compensation in modern MR scanners. Changes in image intensity during the bolus passage is modelled by an Active Appearance Model augmented with a cluster analysis of the training set and priors on pose and shape. Preliminary validation of the method is carried out using 250 MR perfusion images, acquired without breath-hold from five subjects. Quantitative and qualitative results show high accuracy, given the limited number of subjects.